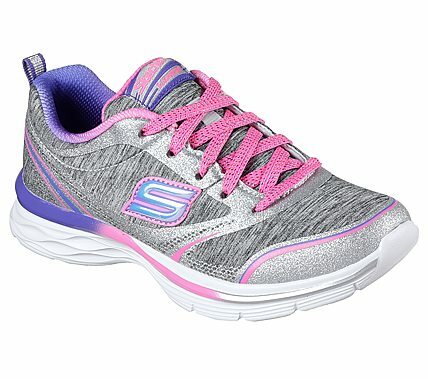 Run, jump and play in sporty style and comfort with the SKECHERS Dream N Dash - Pep It Up shoe. Nearly one piece woven heathered jersey knit fabric in a lace up athletic sporty sneaker with lightweight design. Gel Infused Memory Foam insole.